The turkey industry supply chain flows from the breeders through a number of multiplication phases, which culminate in commercial birds being grown and processed and finally sold to the consumer. Primary breeders are at the start of this process. Delivery of genetic progress from the breeding programme to the end-consumer typically takes around 4 years. This means that today’s industry challenges had to be anticipated by the primary breeders at least 4 years ago and the challenges for the future consumers need to be anticipated now. The mainstream turkey market requirement for breed types is principally divided into two segments: the heavy sector where males are typically grown to 19.5kg – 22kg and the medium sector where birds are grown up to 18.5kg. Typical breeds used in Europe include the BUT6 and Nicholas Select for the Heavy sector and the BUT Premium in the Medium sector. There are a number of smaller, speciality segments across Europe supplying high value birds to meet specific consumer needs. Standard, coloured and slow growing breeds from the mainstream breeders as well as speciality breeders such as Hockenhull Turkeys satisfy the diverse needs of these market segments. Turkey breeders receive direction from many sources directly and indirectly through a complex web of communication. The job of breeders is to disentangle these messages to distil them into practical selection criteria. The consumer, as the end purchaser, is the core driver, forming their opinions from a range of sources and these are typically reflected in their purchasing habits which in turn affect the retailers, producer and ultimately the breeders. Consumer preference research indicates that, alongside the traditional drivers such as price, there is an increasing emphasis on evolving drivers such as health and wellness, safety and social impact (Ringquist et al., 2015). Transparency is increasing in importance as consumers want to know more about their food and how it is produced. Within the primary breeding operations, many of the consumer preferences have been incorporated as selection criteria for their genetic lines, as breeding companies have moved from a focus on productivity related traits towards multi-dimensional breeding goals (Neeteson-van Nieuwenhoven et al., 2013). Whilst economic efficiency remains hugely important, there is increasing emphasis on traits related to welfare, sustainability and robustness (Figure 1). Historically, primary breeders were cautious about releasing details of their breeding criteria, as this is their source of competitive advantage. However, this is changing as breeders recognise the role they have in informing society of the improvements being made through selective breeding. Examples of activities now undertaken by the primary breeders include open days for industry stakeholders, publication of results of breeding research, sharing information at conferences and participation in a range of research programmes and working groups developing policies on turkey production. Integrating expanding consumer needs into the breeding programme requires the primary breeders to continuously search for more accurate ways to collect data, and analyse data for different purposes and for new traits. Some selected examples of the application of novel technology to increase selection accuracy include: selection for improved sustainability, improving gut health and robustness, environmental adaptability, and use of genomics information in selection decisions. Sustainability is an evolving need of increasing importance to the consumer. Sustainable resource utilisation is a by-product of growth, FCR, poult production and liveability traits which have been incorporated into the breeding programme for many years and whose selection has evolved with the adaptation of new technology and analysis techniques. As an example, the turkey of today compared to the bird of 1993 is 3.9kg heavier at 20 weeks and 48 points more efficient in FCR to 21kg (source: BUT6 performance objectives). These improvements have direct effects on environmental sustainability as less feed is required to produce the world’s annual requirement of 5.4 million tonnes of turkey meat. The reduction in feed means fewer road trips to collect raw materials and deliver feed and the valuable land resource requirement to grow cereal crops is reduced. Further, the use of life cycle analysis modelling highlighted the importance of feed efficiency in reducing the environmental impact of turkey production (Leinonen et al., 2016). 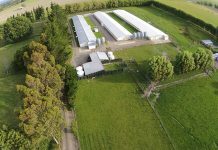 Use of animal medicines in agriculture have come under increased scrutiny due to concerns about antimicrobial resistance and the lack of new antibiotics being approved for human use. 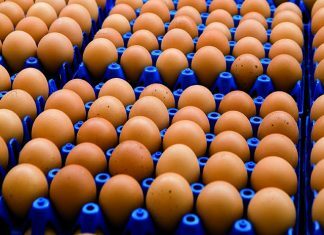 Turkey producers are being required by government intervention to dramatically reduce their usage of these treatments, much of which can be done through improved management. As an example, the German turkey industry antibiotic use has declined by 40% since an antibiotic use and improvement system was introduced in 2014 by the Federal Office of Consumer Protection and Food Safety. This has largely been through improvements in bird management but breeders also contribute to reduce antibiotic use through the selection of birds, which are generally more robust, i.e. birds which have good overall fitness and vitality across a wide range of production environments. Gut health, skeletal strength and immune function are key components. Water consumption is an indicator of gut health and functionality and has the benefit of improving litter conditions and footpad health. Birds are responsible for most of the moisture found in the barn. Whilst most birds consume on average around 1.65 litres/kg live weight at market age, some birds consume considerably more. Around 20% of water consumed is assimilated; the rest is exhaled or excreted. Selection against excessive water consuming birds has resulted in around a 5 litre per bird reduction in consumption since we began the work in 2012. This reduces the amount of water consumed by an average 8,000 bird flock by around 41 tonnes with consequential benefits on footpad health and litter use. Leg health is assessed through a combination of traits such as gait scoring, x-raying with the lixiscope to identify clinical and subclinical tibial dyschondroplasia, scoring of angular leg deformities and footpad health (Kapell et al., 2017). Multi-environment selection is used to overcome the breeder’s dilemma of needing to ensure biosecurity of pedigree birds whilst addressing the need to identify birds which underperform in more challenging environments. This is done by placing pedigree siblings in a separate farming system, where they are grown in conditions seen in commercial farming environments. Measurements are made in both environments and the data is used in the genetic evaluation and selection. This allows the identification of birds with the capability to do well, regardless of environment. The development of genomic selection in turkeys has progressed rapidly since the publication of the turkey genome in 2010. 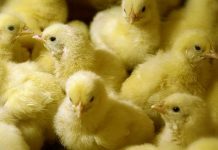 Lessons from the commercial application of genomic selection in broiler breeding have paved the way for rapid implementation in turkey breeding. In 2016-17, the era of genomic selection in commercial turkey breeding began. With genomic selection, phenotypic measurements are combined with information at the DNA level to improve the accuracy of predicting the birds with the best genetic potential. Genomics information can yield around 40% extra selection accuracy for feed efficiency through a better prediction for non-phenotyped individuals (Kranis et al., 2016). In many ways, future challenges will likely be an extension of what we have seen in recent years. An increasing global population will put further pressure on natural resources and so efficient production will remain key (Neeteson and Avendaño, 2016). The drive for reduced medicine use will continue as will the preference for improved animal welfare. Particularly challenging areas may emerge for novel traits required to overcome alterations to production systems as a result of legislative changes, for example the banning of infra-red beak treatment. Novel traits and recording technologies present new breeding opportunities. One example is the use of 3D imaging technology to predict breast meat yield and product quality. This technology has been implemented for broiler breeding and its feasibility in turkeys is being evaluated. Novel behavioural traits are under evaluation. For example, a by-product of individual feed and water intake evaluations has been the collection of associated behaviour measurements (Howie et al., 2010, Rusakovica et al., 2016). Whilst these behavioural traits have shown a significant genetic basis, their utility needs further exploration. Volatility and uncertainty in the marketplace is becoming the new norm. Climate change, feed price volatility, health challenges and political unpredictability etc. have knock-on effects in trade and investment and also on consumer confidence and attitudes. As breeders, altering breeding direction to meet changed needs takes a long time due to the lag between the breeding operations impacting the commercial birds. Breeders therefore need to be geared to deal with the uncertain times the future market holds. This is handled through development of existing breeds and new breed crosses (Figure 2). The current breeds offered by breeding companies cater not only for the existing markets but also new markets. These breeds are improved using broad breeding goals to cover many traits simultaneously and with a strong emphasis on building robustness to deal with a range of current and also emerging production systems or markets. Testing new breed crosses is performed on a continual basis to see if these are a better fit for existing market needs or suitable for new market segments. To do this, breeders hold additional lines in the breeding programme, which are their security to meet future market needs. Testing of new breed crosses takes many years, starting with predictions based on pedigree line performance followed by small scale testing. If this is successful, larger scale field-testing is conducted to fully understand the breed characteristics and develop accurate performance objectives. If all this meets customer needs with sufficient demand from the market then the new breed is launched. Turkey meat is in direct competition with other protein sources. 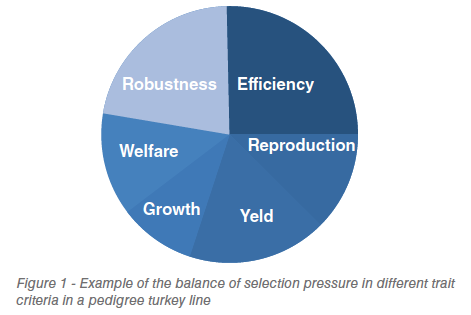 Future success of turkey meat will rely upon adapting the breeding goals and developing current or new breeds to meet the developing needs of the consumer. 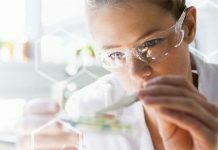 Through increased transparency and factual communication, the breeder also has a role in shaping consumer preferences. The future will likely be driven by further expansions of the breeding goals and the need to deliver more progress in more traits. These will principally be economic drivers and evolving demands such as sustainability, welfare and robustness. Some of the future challenges will require investment in innovative breeding solutions. 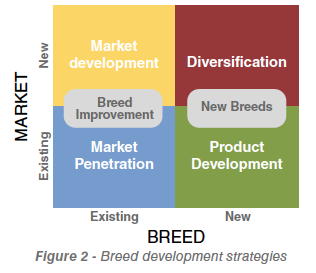 Breeders will also need to adopt breeding strategies to cater for rapid changes in market needs. 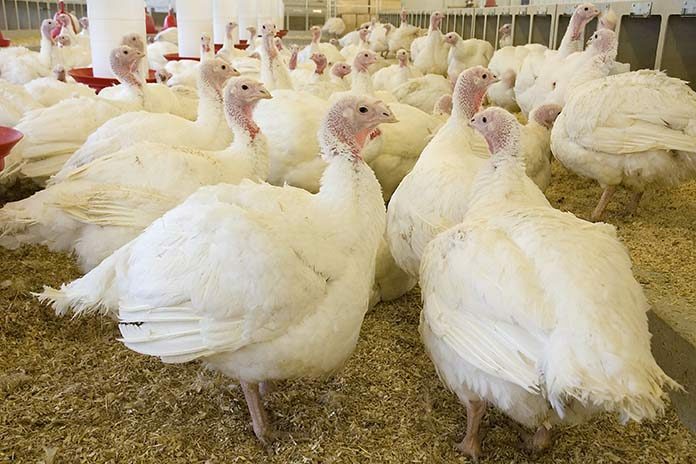 To meet the future challenges for a successful turkey industry, there will be an ongoing need to increase investment in turkey breeding and a requirement to recoup part of the additional value generated from the supply chain. Howie J.A., Tolkamp B.J., Bley T. and Kyriazakis I. (2010) Short-term feeding behaviour has a similar structure in broilers, turkeys and ducks. British Poultry Science 51(6), 714-724. Kapell, D.N., Hocking, P.M., Glover, P.K., Kremer, V.D., Avendaño, S., (2017) Genetic basis of leg health and its relationship with body weight in purebred turkey lines. Poult Sci. 96 (6) 1553-1562. Kranis, A., Glover, P., Ralph, J., Avendano, S, Watson, K.A. (2016) Kellie A Watson (2016) Genomic selection in Turkeys; current position and future potential. In Proceedings of the Turkey Science and Production Conference, 2017. Leinonen, I., Williams, A.G.,Kyriazakis, I. (2016) Comparing the environmental impacts of UK turkey production systems using analytical error propagation in uncertainty analysis. . Journal of Cleaner Production 112:141-148. Neeteson, A.M. and Avendaño, S. (2016) Sustainability and Productivity. Poultry Meat Production. In: Proceedings FACTA conference 2016, Expo Dom Pedro, Campinas, SP, Brazil. APINCO Foundation for Poultry Science and Technology. 12pp. Neeteson-van Nieuwenhoven, A.M., Knap, P., Avendaño, S. (2013) The role of sustainable commercial pig and poultry breeding for food security. Animal Frontiers 3:1: 52-57. Ringquist, J, Phillips, T., Renner, B., Sides, R., Stuart, K., Baum, M., Flannery, J. (2015) Capitalizing on the shifting consumer food value equation. Deloitte. Rusakovica, J., Plötz, T., Kremer, V.D., Rohlf, P., Kyriazakis, I. (2016) Satiety splits drinking behavior into bouts: Organization of drinking in turkeys. J Anim Sci. 2017 95(3): 1009-1022.